San Diego has some of the best cycling whether you’re looking for a scenic flat ride or some of the nastiest hills in all of Southern California. A city mainly traversed by cars, you’ll want to set aside some time to explore San Diego on two-wheels and discover just how bike friendly America’s Finest City is. 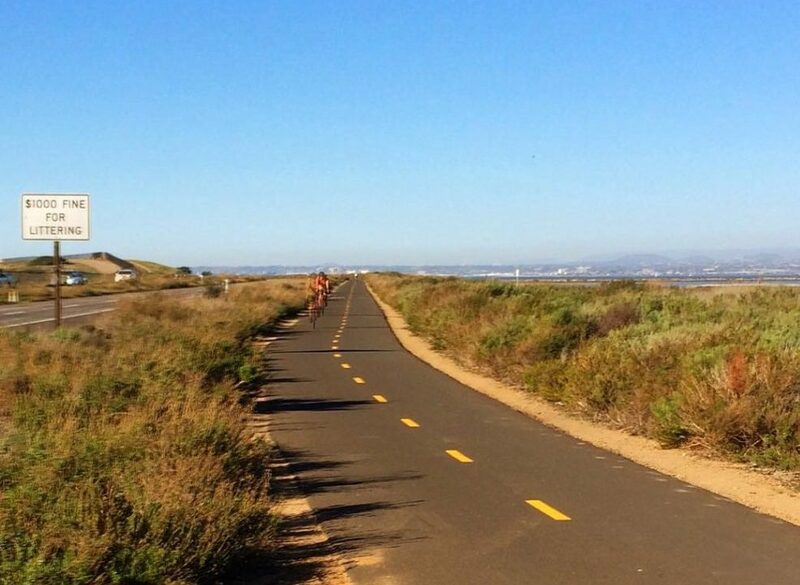 For those not sure where to go, here’s a comprehensive list of the best bike trails that San Diego has to offer ranging from your lazy Sunday morning meander on a beach cruiser to a grueling bike club studded with professional talent. Some of the best people-watching in all of San Diego can be done on the PB Boardwalk, especially from your bike. The boardwalk tends to get crowded during prime sunlight hours, but as long as you communicate with your fellow joggers, rollerbladers, and skateboarders, you’ll be fine. 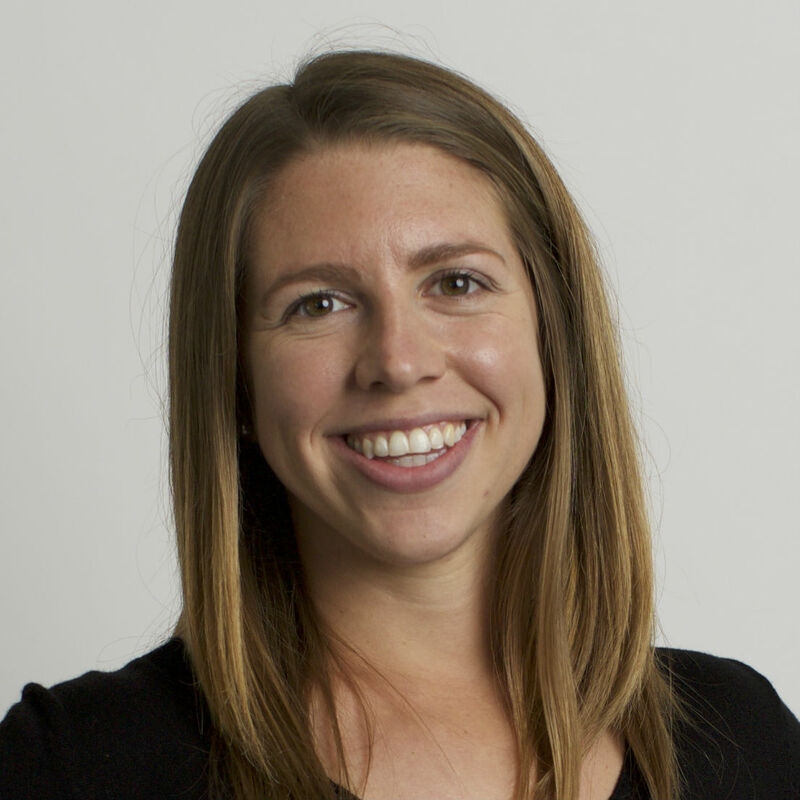 And be sure to look out for some of PB’s famous personalities along the way, including Slo-Mo! Plus there are plenty of restaurants, coffee shops, and bars along the way if you need a pick-me-up. 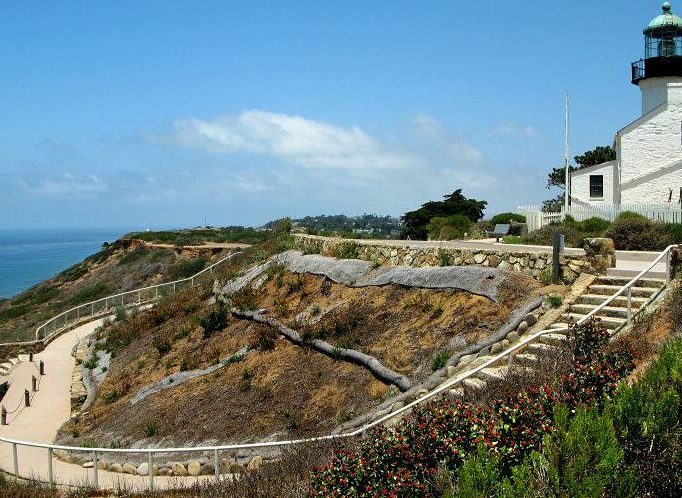 Cycling up at Cabrillo is both a great workout and a quintessential San Diego experience. Enjoy stunning views of downtown, Coronado, and Point Loma over rolling hills that will spike your heart rate and get your blood pumping. It’s about a six-mile loop from Jensen’s grocery store to the guard booth and back, so make sure to do a few laps to get the best workout. Fitt Tip: stop before the guard booth if you want to avoid the $10 CA State Park entry fee. And if you still want more, incorporate Canon Street into your ride for a long, gradual climb that will make your quads scream. A little farther inland, Poway provides sufficient space for mileage among San Diego suburbia. Endurance athletes training for races will appreciate this area as well as groups who want to ride along the road without feeling crowded. 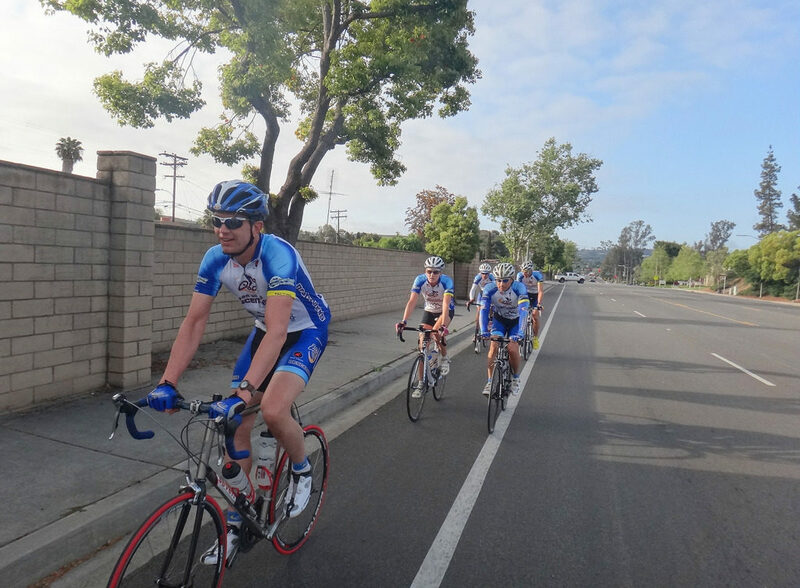 Train for the annual Tour de Poway (which includes a few different distance options, the longest being a century ride) on these roads for some of the smoothest and fastest rides in all of San Diego County. In addition to road biking, commuting, and recreational riding, San Diego also has options for mountain biking. 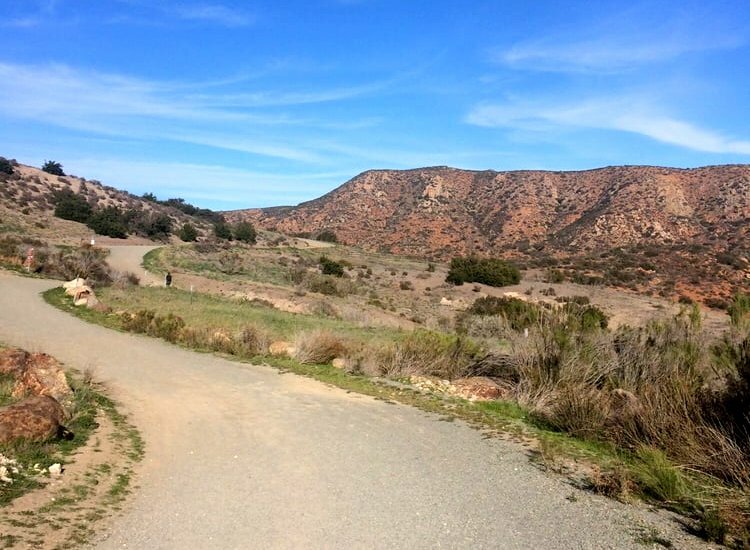 One of the best places for mountain biking is Mission Trails Regional Park. There are several trails within the almost 6,000 acres of park which can be linked together for a longer ride if desired. If not, the more difficult and technical—albeit shorter—trails are on the Western side of the park. Though you’re only a few miles from the notorious commercial Mission Valley district, you’ll feel like you’ve been transported into the heart of the desert. Looking for a flatter ride with ample parking? Look no further than Fiesta Island near Pacific Beach. This four-mile loop is completely flat, but gets windy on the backside for those looking battle real-life elements on a bike. Plus, lots of cycling and triathlon teams use Fiesta Island as a place to do time-trials, so you know it’s the real deal. Just make sure to check the calendar before you go — sometimes there are concerts or the infamous San Diego OTL tournaments happening on the island. And you’ll want to make sure to steer your bike elsewhere during those occasions! 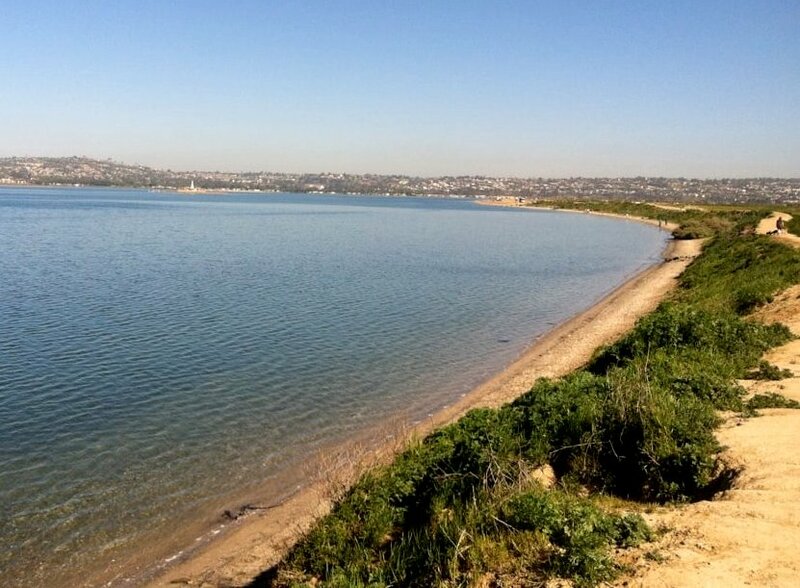 One of the most scenic bike rides you can take in San Diego, cycling along Silver Strand will provide both beach and bay views in one of the quietest areas of the city on well-maintained roads. 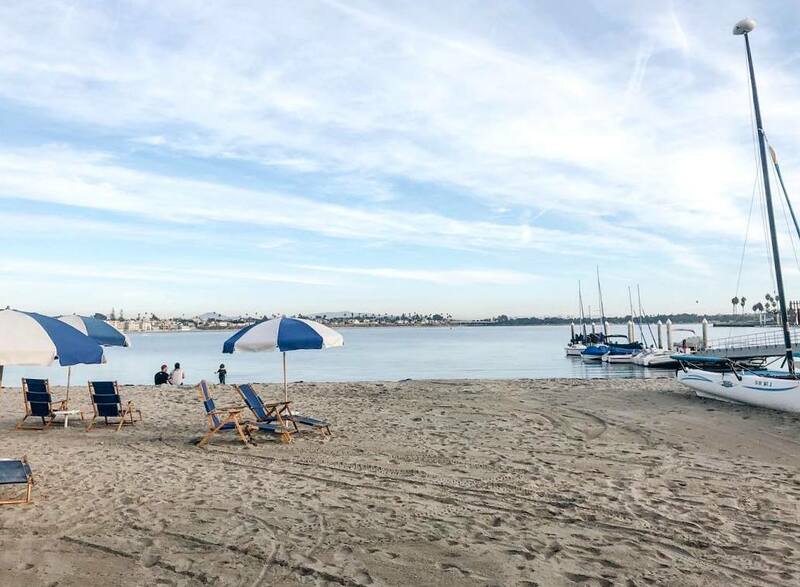 Enjoy the 12-mile ride alongside one of San Diego’s busiest recreation hubs with sailing, kayaking, and stand-up paddleboarding on the bay side of the strand, and surfing and kite boarding on the ocean side. Silver Strand offers some interesting logistics for cyclists, but we’re here to help: you can either bring your bike by car/rack, or complete a 40+ mile out-and-back loop from Chula Vista for an added challenge. OR there’s a third and arguably more fun option — taking the Coronado Ferry from Downtown SD! Check here for rates and times. On the other side of Mission Beach, parallel to the PB Boardwalk, a trail shoots along Mission/Sail Bay. 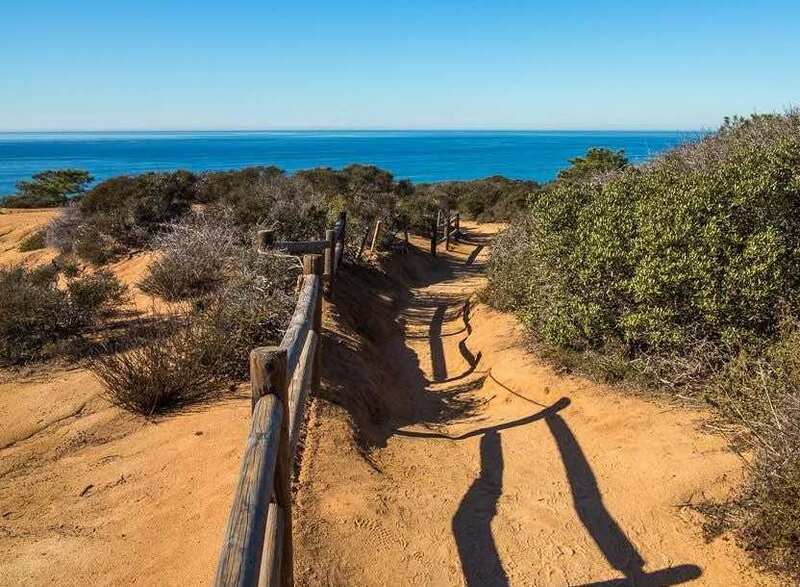 If you’re with a friend or a small group, this path is roomier than the PB Boardwalk and offers the calming, scenic views of Mission Bay and the San Diego skyline near Crown Point. 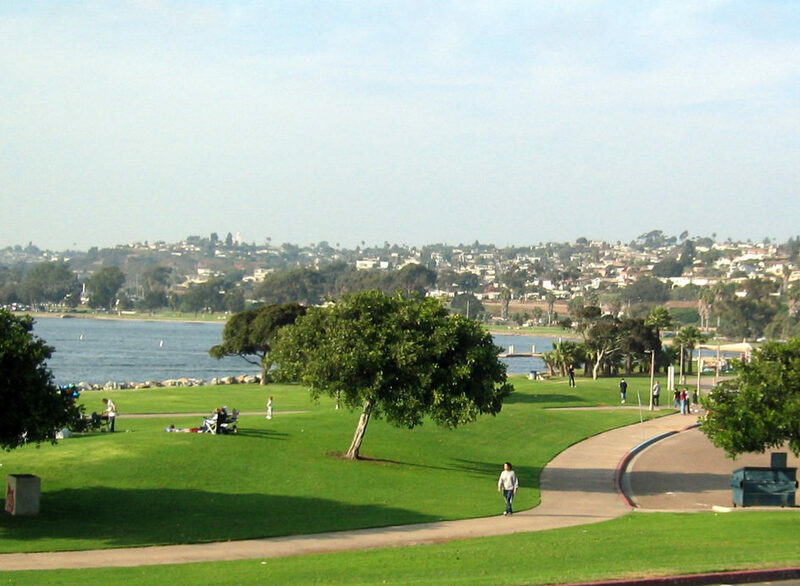 Pack a backpack with snacks because with plenty of restrooms, water fountains, playgrounds, benches, and tables along the way, Mission Bay is great place to bike and stop for a picnic. Or a pick-up volleyball game. Or both! One of the safest options for San Diego residents looking to commute via bike is to use the San Diego River Bike Path. 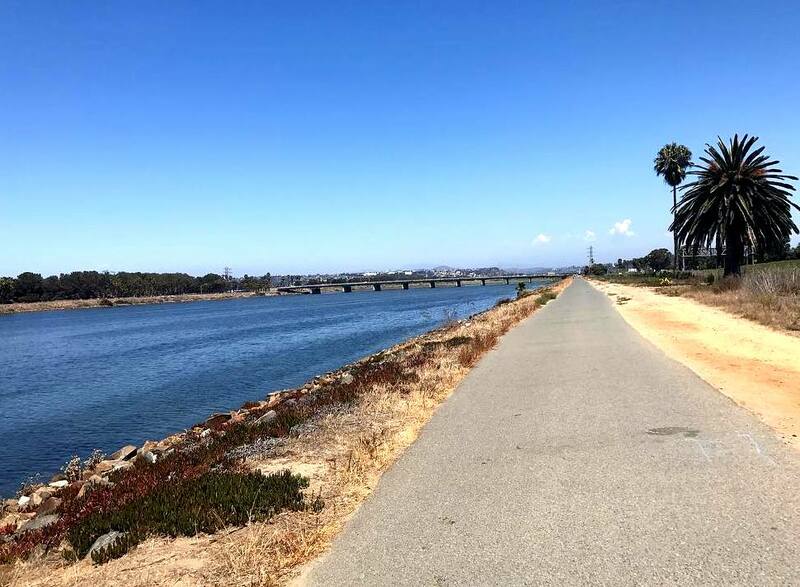 Closed to cars, the 20-mile river path goes from Mission Valley to Ocean Beach and is a relaxed option for people looking to avoid the freeways. You know what that means… you’ll miss all the rush hour traffic! Fitt Tip: Take Nimitz Blvd. a few miles in from along the river and enjoy a meal at Coffee Hub & Cafe in Point Loma. This cycling-themed cafe opened up in early 2017 and offers not only delicious food, but also community bike rides and the occasional special for cyclists. The Torrey Pines Coastal Ride will be another favorite trail for endurance road bikers. 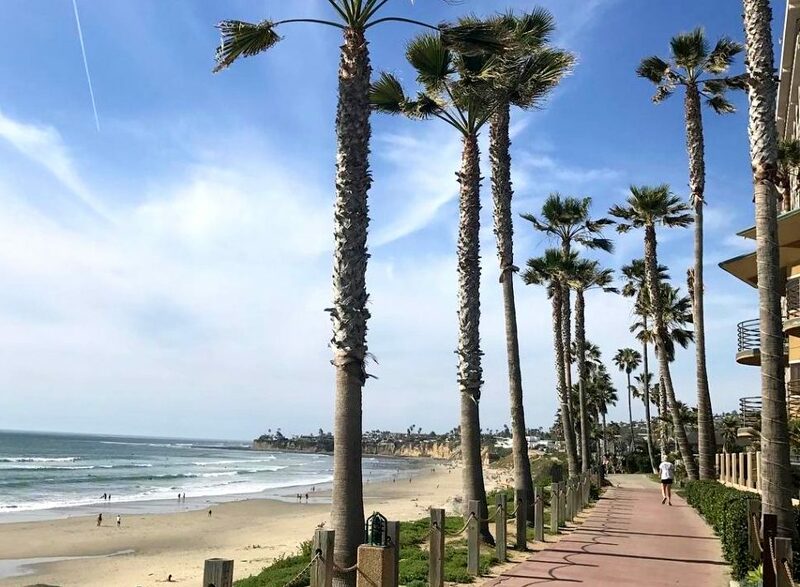 A little over 40 miles, you’ll climb about 1,000 feet of elevation and visit some of San Diego’s most charming beach towns: Del Mar, Solana Beach, Carlsbad, and Oceanside. If the mileage and elevation is too much for you at first, don’t worry! You can always just go one way and take an Amtrak train back!